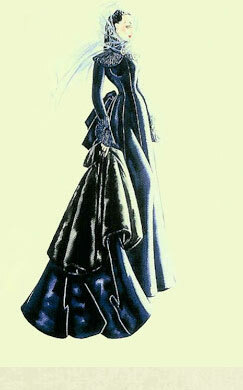 ← Tuesday Trends: Get Separated! 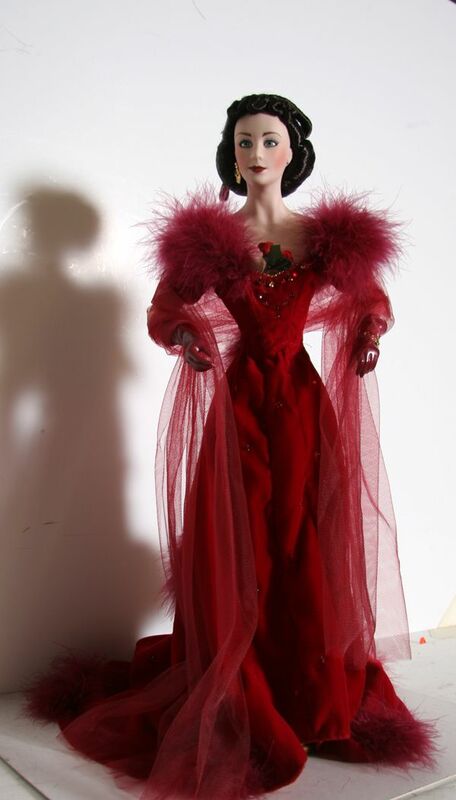 With Tonner Convention opening tomorrow, many doll fans are watching closely to see the event dolls revealed – two of high anticipation are Tyler’s 15th Anniversary nod and Carmen Dell’Orefice. 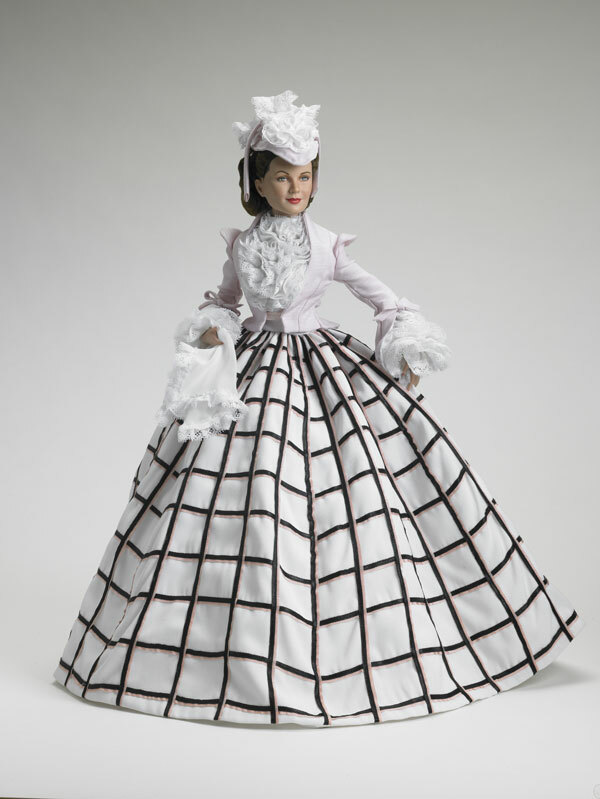 There’s no doubt collectors will be watching the secondary market closely to obtain their favorites – but a word of advice, watch Tonner’s website first – they almost always have remaining dolls after events and sell them directly to the public after the event. 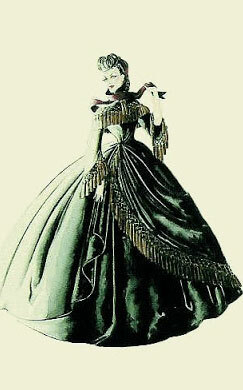 We’re pretty certain (not 100%, though – so keep that in mind), that the ‘rejected’ costume is Walter Plunkett’s design for Scarlett’s Ballgown worn to Ashley’s birthday party. 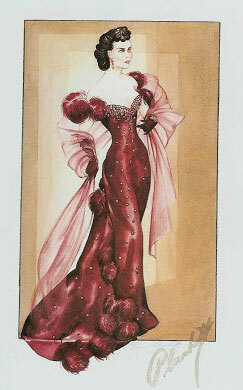 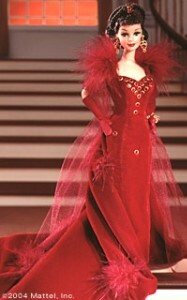 The red version of the gown is one of the most iconic costumes of all Hollywood history. 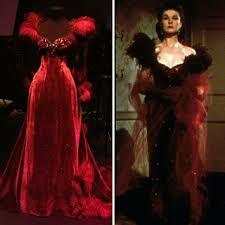 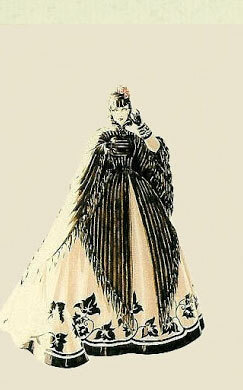 With that being said, the gown has been interpreted many times by many different makers. 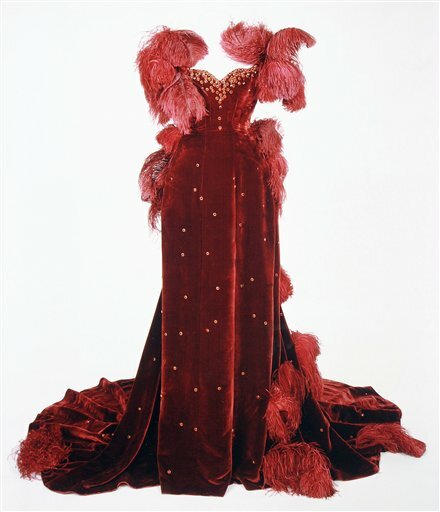 The original costume was made of French silk velvet, and was actually a dark color, although in Technicolor cameras it radiated a more vibrant red as light played on the velvet’s nap. 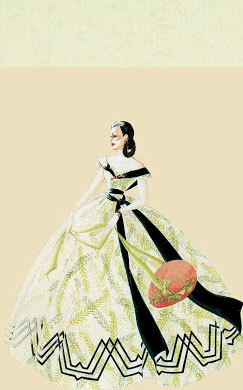 However, in Plunkett’s notes, he mentions obtaining permission from Margaret Mitchell to vary the color of some designs, which were described almost entirely as green in the book (Mitchell’s favorite color). 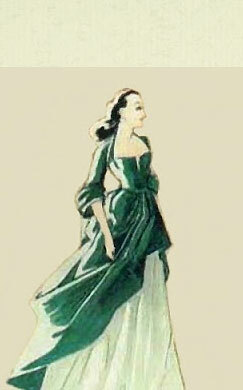 Mitchell agreed…and we now have many visual treats from the film in colors other than green. 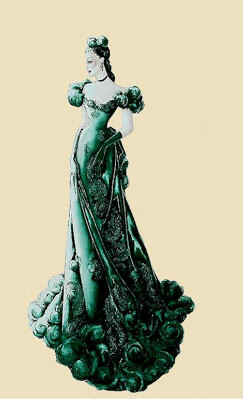 The gown worn to Ashley’s birthday party is rather specific in the book: “He fumbled and drew out her new jade-green watered silk dress. 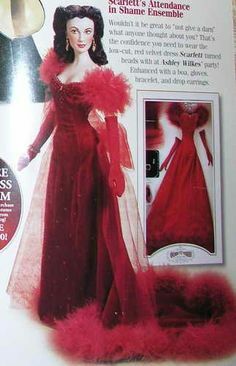 It was cut so low over the bosom and the skirt was draped back over an enormous bustle an on the bustle was a huge bunch of pink velvet roses.” It was with that gown and plenty of rouge that Scarlett faced Melanie that night – a scene we have all come to know from the film. 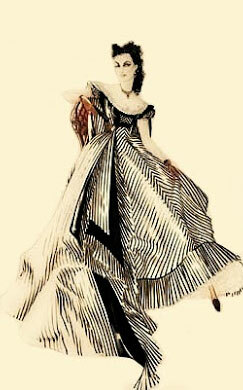 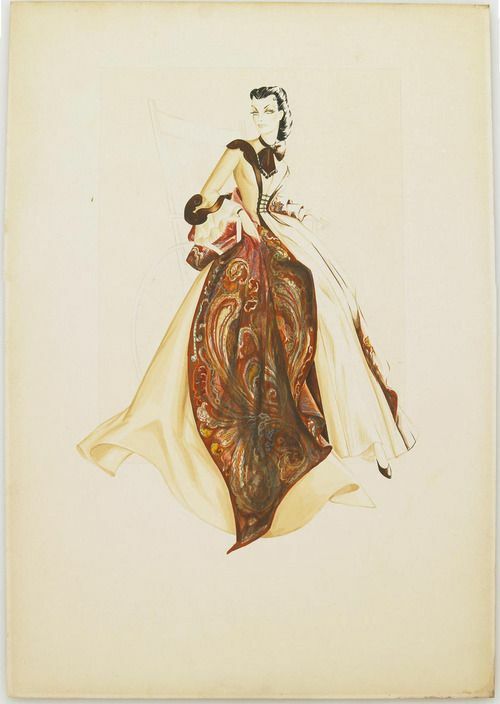 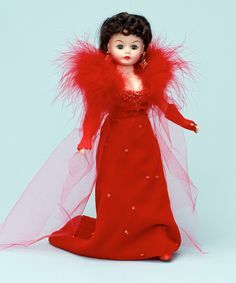 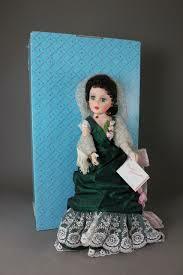 Madame Alexander interpreted the gown in a 21inch portrait doll using the Jacqueline face (often misidentified as a Cissy head sculpt, though it is not). 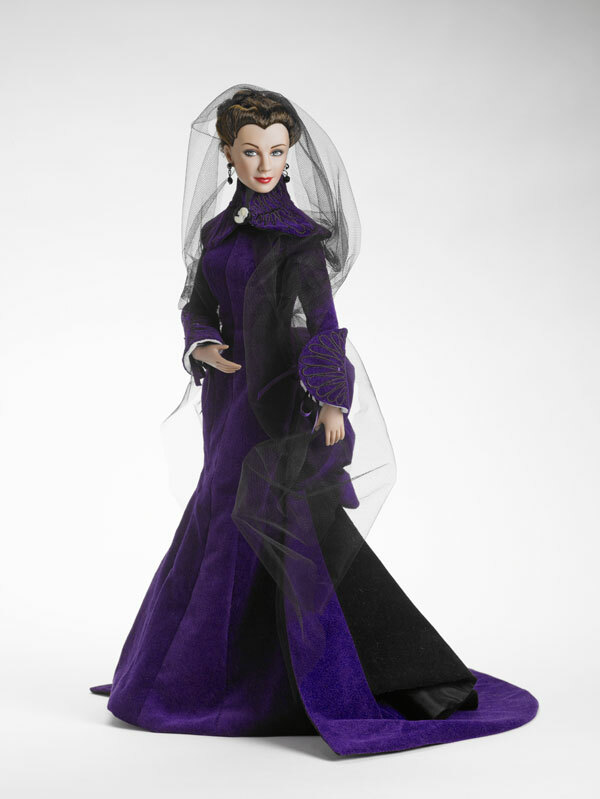 So it would seem this may be the mystery gown of which Tonner may choose – we said we were pretty certain, because we can’t think of any other dress that fits the bill – the only other dress to come close would be a purple version of Scarlett’s final mourning costume that was rendered in purple and sold by Tonner as ‘In the Mist’ – and we think it’s unlikely they would chose the black funerary version as an event doll. 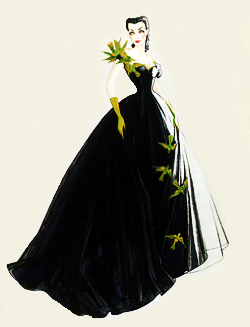 But the green version of the red ballgown does have its own specific details making it unique. 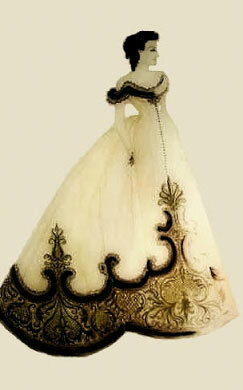 It doesn’t appear to be studded with stones, and there is clearly and embroidered or applique floral motif along one side. 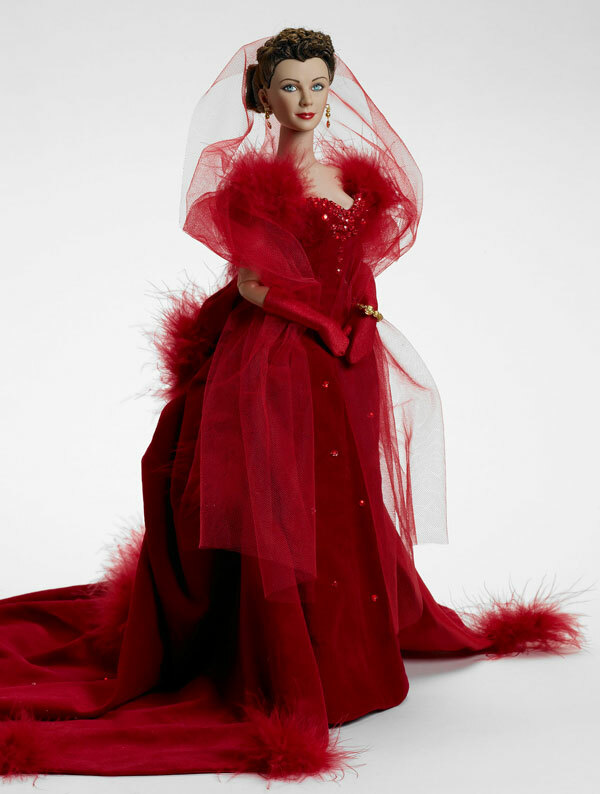 However they decide to interpret the gown, collectors have marked this doll as a big WANT this doll year…so expect to pay high secondary market prices if you cannot attend the event. 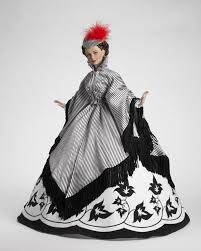 Tonner also promises a ‘lost costume‘, being the only maker that was able to successfully license and produce these costumes. 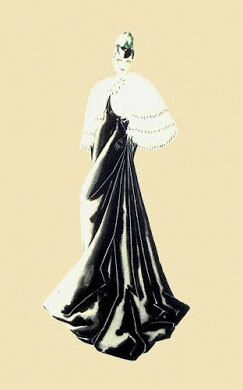 There are still a couple out there, including variants of the drapery dress. 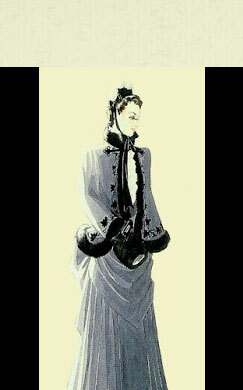 But, we’re hoping for something more dramatic. 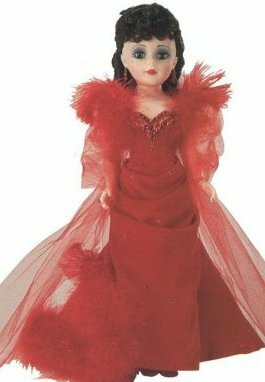 Ellowyne will be making an appearance, too…and like Kitty Collier and Betsy McCall before her, we suspect this may be in the beautiful white ruffled organza gown from the film’s opening. 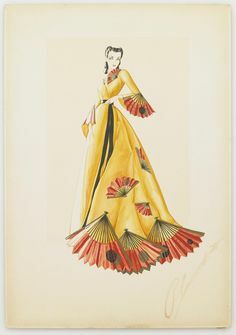 If you’d like to see more about the restoration of the film costumes and see a wonderful slide show of Walter Plunkett’s designs, click here to take you to the How We Do Run On website.